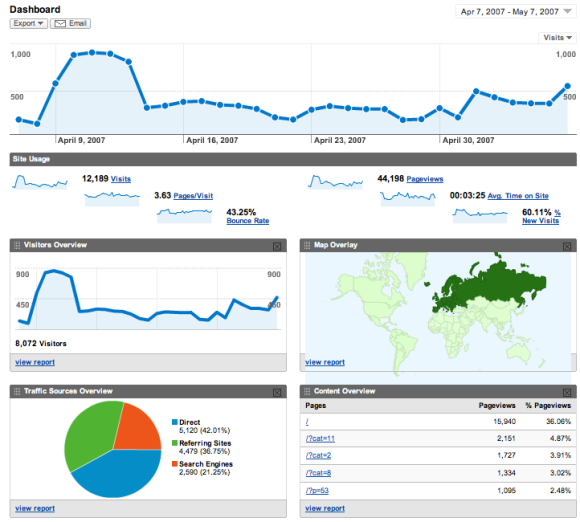 The powerful but way-too-complicated Google Analytics was redesigned by the Measure Map team and has a cleaner look. "With this new version, users can experience greater visibility of important data, clarity of appearance and more intuitive navigation paths. Utilizing more features and improved metrics, Google Analytics summarizes data and statistics in plain language so that website owners can make more informed decisions. The tool incorporates score cards and summaries that distill information into key performance indicator summaries," says Google in a press release. Other new features are emailing reports and PDF downloads. The new version is available for some of the existing users and for those who sign up to Google Analytics starting today. For a sneak peek, check this video introduction and read a detailed post written by Avinash Kaushik. The new interface is cleaner indeed and I was really missing the dashboard in the previous version. However I can't yet get used to the new visit graph that appear at the top of the dashboard. I think its larger than it should be. 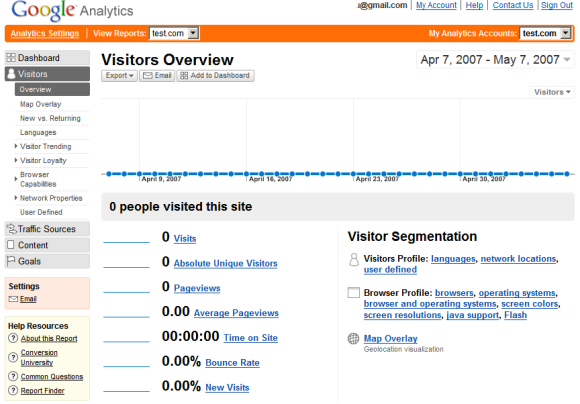 I've used analytics for so long I am used to the old interface. finding it difficult to get used to the new one. glad they have the 'old interface' button! Does anyone have an idea of what charting system they're using for the new look? It looks awesome! Did everyones accounts switch yet? I really like the new setup. I think my favorite new feature is the ability to compare two date ranges on the same graph. Makes it very easy to see how I'm doing this year vs. last year, etc. It is, however, a bit slow to respond with all that Flash going at once. Hope they'll be able to improve on that soon. @geordie: I believe it's largely based on Measure Map, which Google acquired last year. I also see some of the functionality they created for Google Finance graphs being carried over (try clicking the date range box and choosing the Timeline tab, for instance). Who's Watching This YouTube Video?